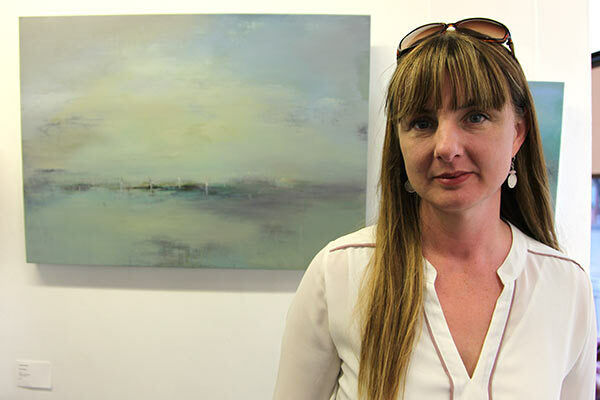 Born in Belfast, Nicola has exhibited extensively across the UK and Ireland for the last twenty years, with regular solo exhibitions in London. After graduating in 1994, she entered a national competition and won a S.P.A.C.E. studio award of one year’s tenure. She then continued to live and work in the East End of London. In 2002, she moved with her family to the North Coast of Northern Ireland, and has been featured on BBC Newsline, Radio Ulster and in numerous national publications. The Irish State recently purchased a painting for their prestigious collection, and she is represented in private collections worldwide. She exhibited as part of the Londonderry/Derry ‘City of Culture 2013’ programme. Nicola has been the recipient of awards such as the Edna Lumb Travel Prize, and an Arts Council Award. Along with her husband Andy Baird, she owns and runs Planet Solar, a bespoke solar design and installation company in Northern Ireland. Following my solo London exhibition ‘Monuments’ in 2011, I have continued to explore the theme of man-made structures within the landscape. I am interested in how the presence of these remarkable modern engineered constructions contrast with nature- the shifting climate and atmosphere of the earth, sky and water. My first wind turbine series was completed in 2012. The paintings exhibited in Human Nature investigate the aestheticism of renewables within our landscape, and how these new ‘monuments’ contribute to our changing environment.